So you have decided you want to build a rear extension. Great! But do you require planning Permission? 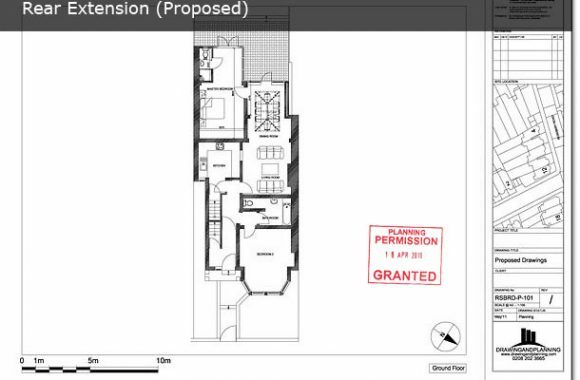 Do you need Full Planning or do your proposals fall under your permitted development right, only requiring a Cert. of Lawful development? As with all Planning Applications, any application for a rear extension must be submitted along side a full set of scaled architectural drawings. 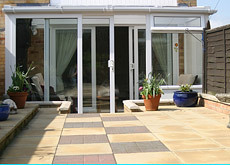 These clearly outline the dimensions of the existing property and the proposed rear extension. At Drawing and Planning we specialize in Planning Applications for all household improvement projects including rear extensions. With the use of Computer Aided Design (CAD) Software, our architectural design team work to create clear and accurate architectural drawings to outline the full proposals for the site. Our drawings enables the Duty Planning Officers at the Local Authority to gain a clear understanding of the proposed development, helping them reach a definitive decision with ease. As Planning experts, we ensure all our drawings and proposals meet the relevant planning legislation and restrictions. When we propose development, we ensure it conforms to these guidelines and only ever take on projects which we strongly believe we can gain planning permission for. 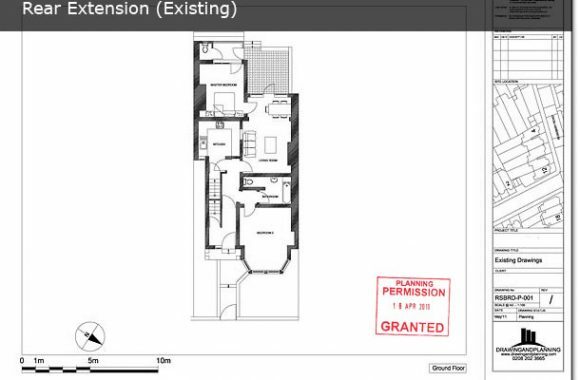 Our drawings are designed to gain you planning permission approval. As such they do not contain the same level of detail as those of a traditional architect. By focusing our drawings on Planning approval, we are able offer you high quality planning drawings at a fraction of the cost! Once we have successfully gained planning permission for you, the drawings can be easily manipulated to be used by a building contractor. This approach has proven to drive down costs involved and you can then use the funds towards the building costs! As part of our planning permission package, we will manage your entire planning application with the local authority and liaise with them throughout, ensuring your rear extension has the greatest prospects of attaining planning consent.